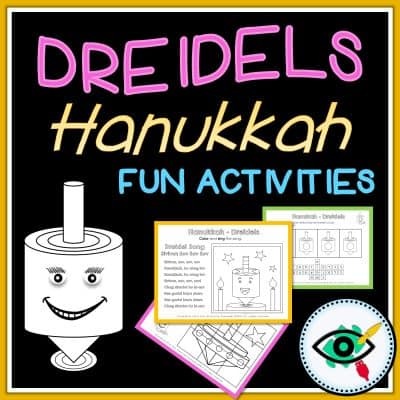 use questions or riddles to reveal the image behind. 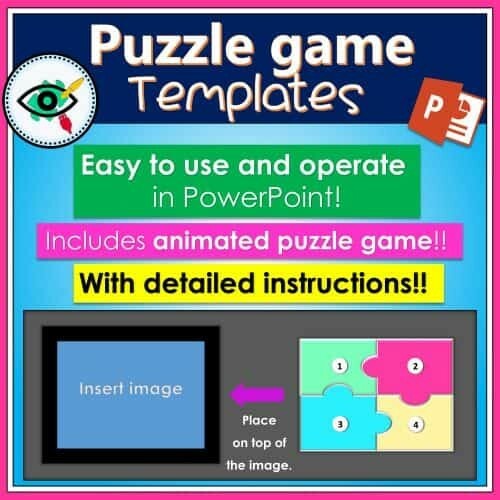 to create an interactive game using basic PowerPoint skills. This game suitable for all ages. and engagement among students in the classroom. 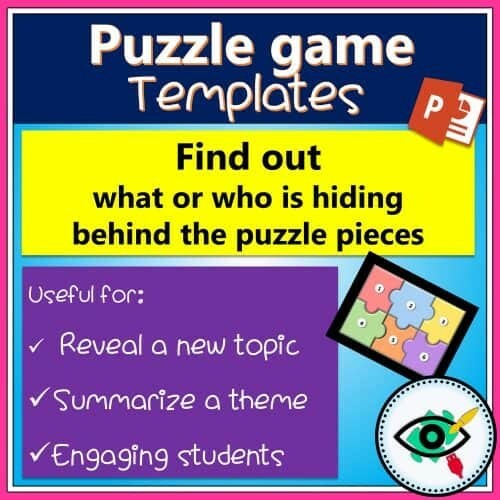 behind the pieces of the puzzle with guiding questions. 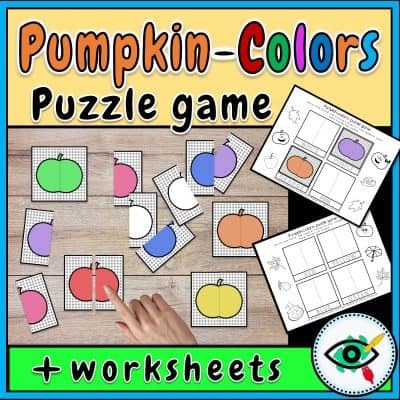 When students answer correctly, part of the puzzle disappears, until the whole image is revealed. 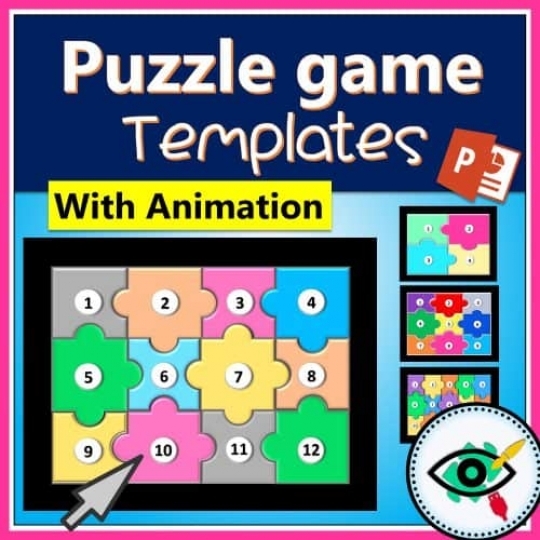 The templates designed in PowerPoint and are compatible with version 2010 and higher. 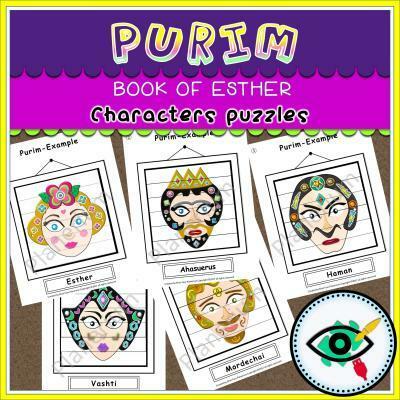 This game can be used in interactive boards or by projecting on a screen. 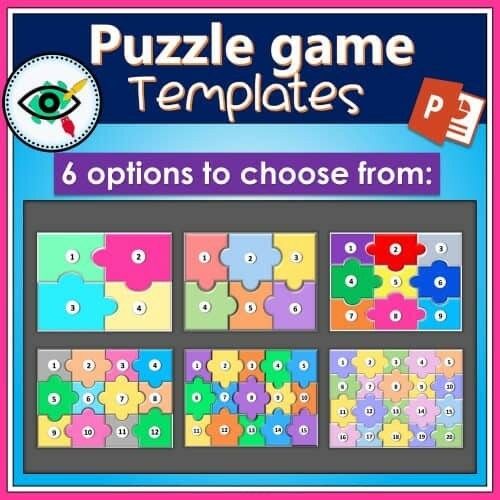 Includes 6 animated puzzle game templates to choose from: 4, 6, 9, 12, 15, 20 puzzle pieces. Due to security requirements and resources control, number of downloads limited to 12 per product.